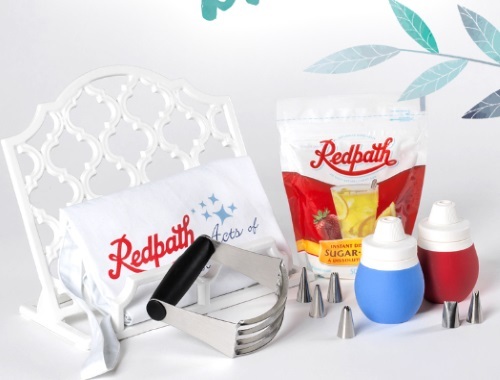 This month, Redpath are about to make things much easier in the kitchen, with a brand new pastry cutter, an 8-Piece Frosting Bulb Decorating Kit, a Cookbook Holder and an Acts of Sweetness Prize Pack. Your next kitchen creation isn’t only going to be easier, it’s going to be beautiful! Enter today for a chance to win a March break of your very own. Prize Pack includs a brand new pastry cutter, an 8-Piece Frosting Bulb Decorating Kit, a Cookbook Holder and an Acts of Sweetness Prize Pack. Limit 1 entry per person. Contest closes March 13, 2017 at 4pm ET. Quebec is excluded.